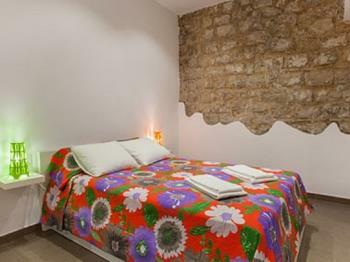 This studio for two people located in the district of Borne, a typical Spanish quarter with small streets in the center of Barcelona. It is centrally located and almost every sightseeing spot is within walking distance, such as Las Ramblas, Arc de Triomf and Placa Catalunya. 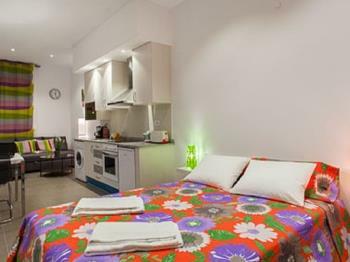 The apartment building, as mentioned before, is located in one of the small streets in the Borne district, surrouned by a lot of supermarkets, bakkeries, drugstores and much more. 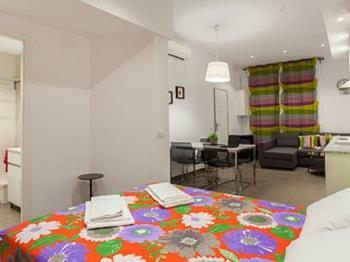 The building has a roof terrace with a breath-taking view over the city of Barcelona and has wi-fi connection for our guests throughout the whole building. 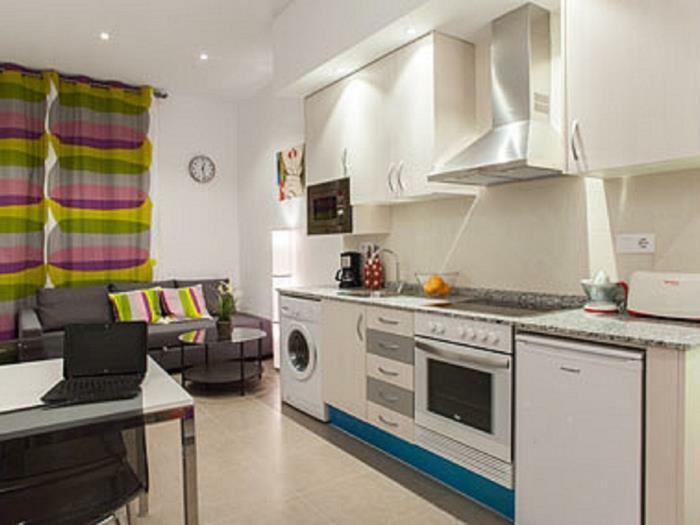 The studio is modern decorated and has large windows that brings daylight into the apartment. It has a livingroom that functions as a bedroom as well and has a double bed. 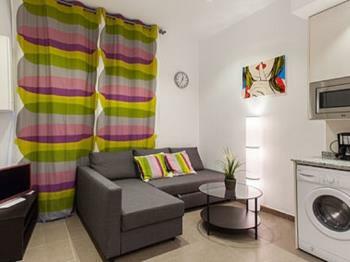 The living room has a comfortable couch, air-conditioning, a television, radio and a dinning area. There is a balcony adjecent to the living room, with a view over the small streets of Borne. The kitchen and bathroom are two seperate rooms. 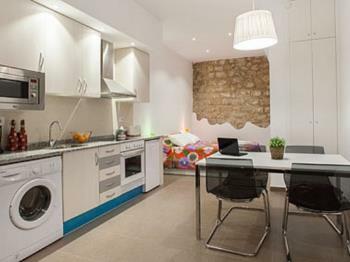 The kitchen is fully equipped with a stove, refrigerator, washing machine, coffee machine and microwave. 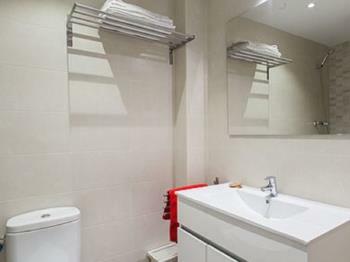 The bathroom has a bath with shower, a sink and a toilet. 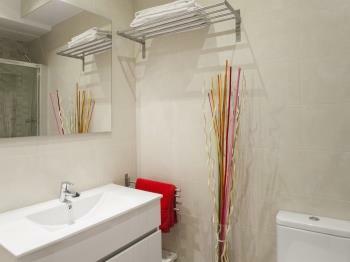 Shortly put, the apartment has everything in order to have an independent and pleasant stay in Barcelona.